Crystal Jade is known for its many branches around Singapore offering a wide range of food ranging from dim sum, bread to Cantonese cuisine. 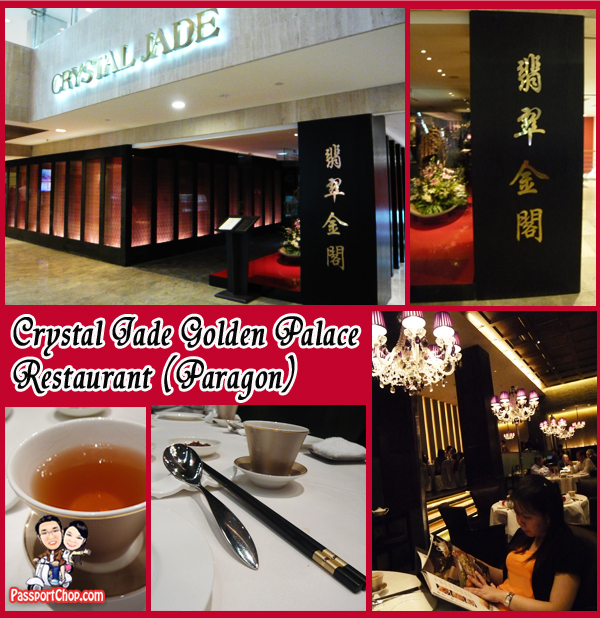 The Crystal Jade branch at Paragon was especially classy (you can tell from its name – Golden Palace Restaurant) and well-known for its Cantonese dishes. Unlike other Crystal Jade branches, the ambiance in this restaurant is that of a quiet and classy setting where executives from nearby offices could come down for a nice dinner. 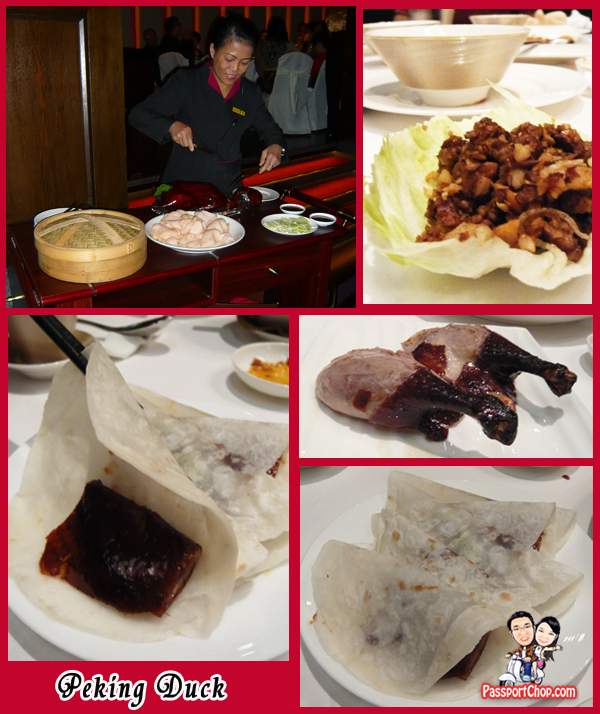 One of the must-try dish here is the Peking Duck. The BBQ Peking Duck (at S$68) is almost comparable in standard in that of the original Quan Ju De Peking Duck which I tried earlier in Hong Kong. Instead of wrapping your own mix of duck skin, meat, vegetable and other ingredients, all of these are prepared beforehand and served to you. There is also the option to have the rest of the duck cooked with rice for an additional S$10. 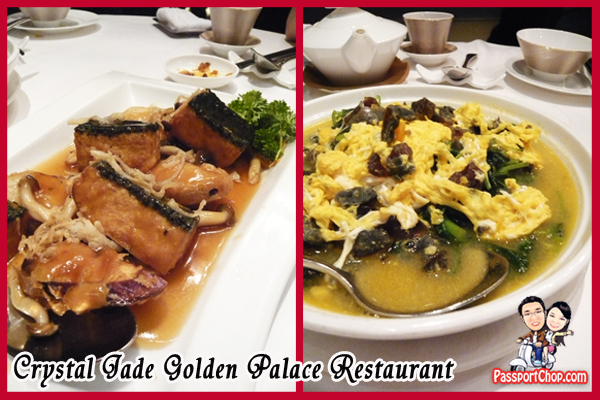 Some other dishes we tried include the Spinach with Assorted Eggs (steamed, salted eggs) (S$27) and the fried beancurd with spinach (S$24) which comes with various vegetables cooked tempura style e.g. brinjal and mushrooms. The servings are quite substantial and could feed 4-5 persons – very worth it considering the price and taste. The service of the Crystal Jade staff were also very good. Besides being attentive to our needs and providing good recommendations on the dishes available, they had went the extra mile in preparing our table for our birthday celebration. We had brought along our own cakes and they had helped in storing our cakes and even preparing our cake for the celebration. 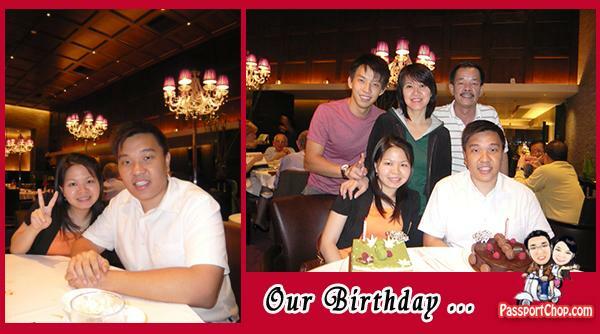 The place looks great and the food looks delicious.. nice blog, by the way..